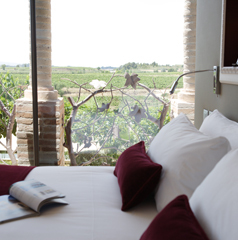 Looking for Vineyard Hotels near Barcelona? 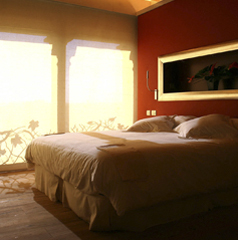 12 charming rooms with views of the magical Montserrat Mountain and the Can Bonastre Vineyards. A unique spa in a natural, relaxing setting. 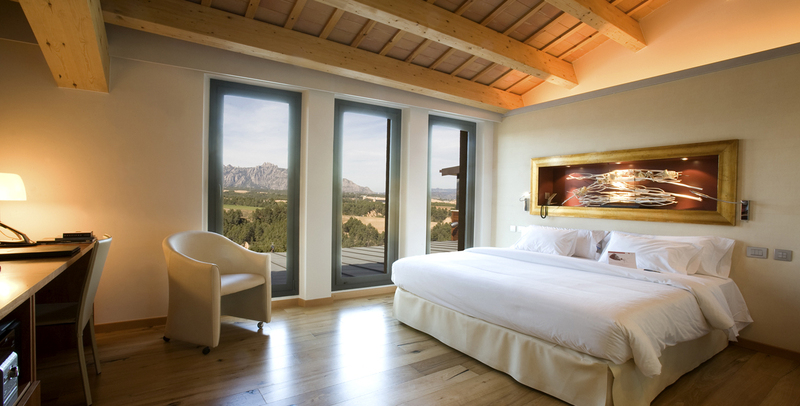 Can Bonastre Vineyard Hotel has 2 suites and 10 spacious rooms that all are characterized by a distinctive and original interior design inspired by the Montserrat mountain and the farmhouse setting. 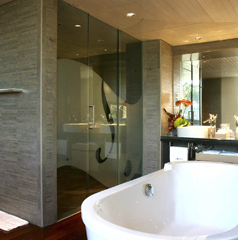 The design is modern and offers a full range of amenities and services. The names of ten of the rooms are associated with Montserrat Mountain: Pla del Ocells, Els Frares, La Talaia, Salt de La Nina, Montcau, Montgròs, Sant Jeroni, Les Bessones, Cavall Bernat and La Cadirecta. 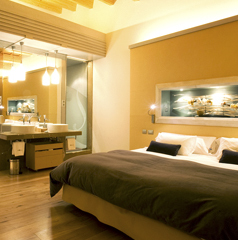 The two suites, Can Bonastre and Can Bartomeu, are named after the two estates that form part of Can Bonastre Wine Resort. 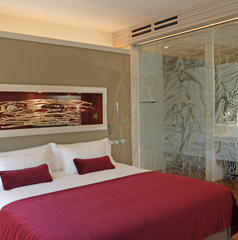 The rooms at Can Bonastre Vineyard Hotel offer such services as Wi-Fi, minibar, DVD, room service and laundry. All the Can Bonastre Vineyard Hotel guests are free to enjoy a tour of the cellar, a wine tasting and access to the Acbua Spa. 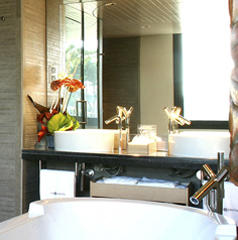 Our rooms are designed for relaxing, having fun and, most importantly, enjoying life. · Welcome gift from the winery in the room. · One-night stay in the room of your choice. 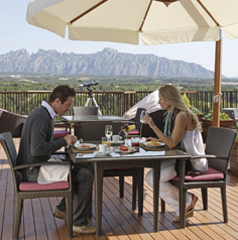 · Breakfast with views of Montserrat. 9:00 a.m. to 11:00 a.m.
· Guided cellar tour and wine tasting. · Snack with coffee, tea, wine, cookies and salads. 5:00 p.m. to 7:00 p.m. in the lounge. On Sundays, guests have the option of a 5:00 p.m. checkout at the same rate. Depending on availability. CONDITIONS: Valid until December 30, 2016. Including VAT. Wine and coffee at dinner not included. Cancellation policy: no charge up to 7 days before arrival. Otherwise, there is a 100% charge for all contracted services. A romantic night including dinner for two, wine therapy treatment in the spa and one-night stay with breakfast on our Montserrat patio. This is just one of the packages you can give as a gift for the indicated dates. Select which one suits you best and contact us for a reservation. 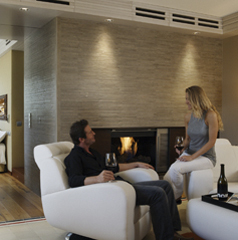 Can Bonastre Vineyard Hotel with its amenities is available for exclusive reservations all year round. The basic package includes a welcome gift from the winery, 12 double rooms, breakfast with views of Montserrat, spa access, guided tour of the cellar and wine tasting, parking, Wi-Fi and minibar.